But I’ve realized that I need to have more preventative self care, which means I take little moments to indulge in the things that make me feel strong, beautiful, and loved (by myself) so that I can power through meetings, work, blog things and anything else that comes my way during the week. My go-to self care routine allows me to also catch up on emails or my favorite show while I do it. 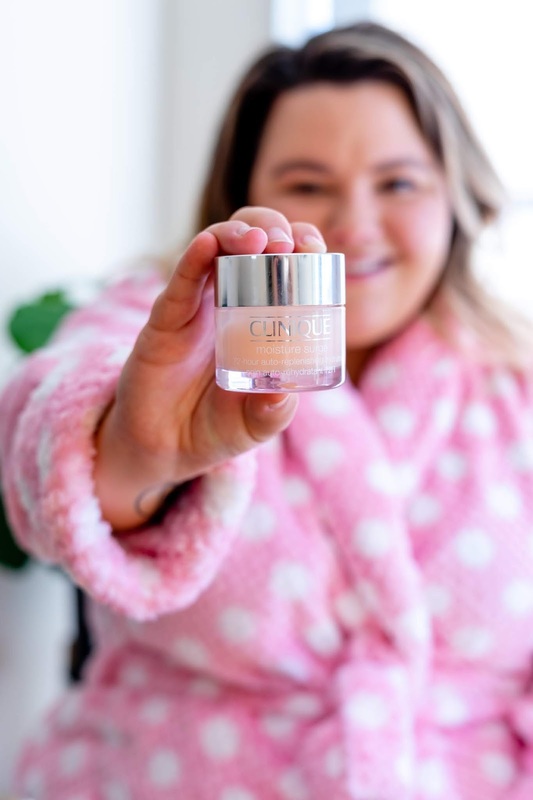 I love to put on Origins Original Skin Retexturing Mask with Rose Clay because my skin becomes lackluster at the end of the week due to makeup, Chicago weather elements, and the gym. My skin is also in dire need of moisture because Chicago in the fall can be dry, cold, and very windy. So after I take off the Origins mask, I follow up with Clinique’s Moisture Surge Intense Skin Fortifying Hydrator. The gel keeps my skin hydrated for 72 hours! Now that’s self care. Because you all know how big of a role fashion plays in my mood (LINK TO I PINK I CAN BLOG POST), self care time also prioritizes a comfortable, but cute outfit to make me feel cozy and calm. I've been sporting this Hannah Breast Cancer Awareness Beehive Robe, which supports a great cause as a portion of the net proceeds from the robe will be donated to breast cancer research. I got the robe from Stage Stores, which also happens to be my go-to destination for all of my beauty and skincare needs, especially this month. In recognition of Breast Cancer Awareness Month, Stage is turning October into Pink October to celebrate everything “her.” Throughout the month, Stage will be hosting activations in-store and online with “Pinktastic” deals on beauty and fashion brands! The Beauty Bash will run from October 10-23 with with 14 Days of Party Favors, including offers on great brands like like Philosophy, Clinique, Elizabeth Arden, and more! You can join the party online and in store! Find a Stage Stores location near you: Find my store! Thank you to Stage Stores for sponsoring this post. I am a huge proponent of brands that promote inclusivity and make high-quality, well-fitting clothing. All opinions expressed in this post are 110% my own! 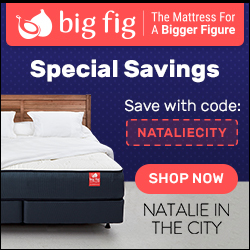 Thank you for continuing to support the brands that make Natalie in the City a possibility!